These peanut butter chip fudge brownies are so chewy and delicious. 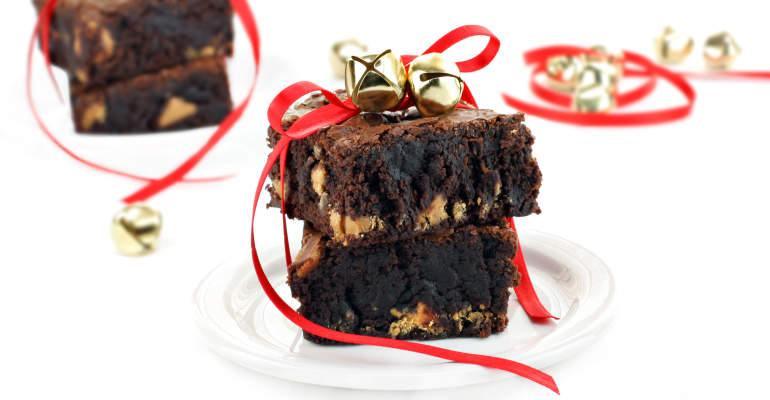 I can’t help but take two at a time 🙂 I know that I’ll surely be making these yummy peanut butter brownies for the holidays as my friends and family will adore them. Anything that is “stuffed with peanut butter” sounds just fine by me! Mix together ingredients until fully combined. Place in a 9-inch baking pan. Bake at 350 degrees for 20-25 minutes. Quick Tip: For extra texture use crunchy peanut butter instead of smooth in this peanut butter chip fudge brownies recipe.